Founded in 2015, fino launched the first intelligent and fully automated account switching service in the industry. Now, after two and half year 12 products and services are available, such as intelligent cash flow analysis, which detects irregularities or services that identify different life situations (so-called life hanging moments) from the bank account. fino services supplement the core business of companies, banks and insurance companies and sustainably improve customer loyalty. 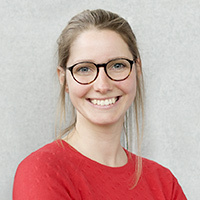 Following stages in eCommerce at neckermann and consulting business, Lena played a key role in building up the online credit products at fino and then took over the BD. As co-founder of fino create – the fino product factory – she is shaping the future of fino.